Most fennels originated in India, Egypt and China. Fennel comes from Umbelliferae family. The scientific name for fennel is: Foeniculum Vulgare. In 812, Charlemagne declared it was essential in every garden because of its healing properties. He popularized the use of fennel in Europe, growing it on the imperial farms, and ancient Saxons included fennel in their list of scared herbs to combat disease. In ancient Greek the word for fennel is marathon, meaning “to grow thin.” It was given to the plant because of its reputation for weight loss. The name of marathon is based on the Greek victory over the Persian in 470 B.C at Marathon. The ancient Greeks would use fennel as a slimming aid. 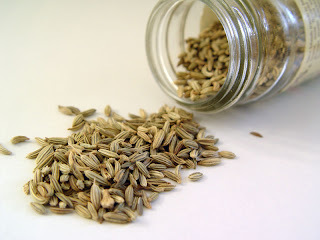 The Greek physicians Hippocrates and Dioscorides also recommended fennel - to increase the flow of milk in nursing mothers. In medieval times, the seeds were chewed to stop gastric rumblings during church services. At these times, fennel also considered sacred herbs used to treat disease. It could bring luck and to keep out ghosts and evil spirits. Inhaling herbs was often a means of treating respiratory disorders. The Lacnunga, a 10th century Anglo-Saxon medical text, recommends "Take fennel and hassuck (dried grass or rushes) and cotton and burn all together on the side which the wind is" and, it recommends, that the practitioner "reek" patients with steam. This is similar to the Native American use of the sweat lodge or the modern sauna, where herbs are placed on the hot rocks to be added to the steaming process.